The hard part was actually finding all the candy since I didn’t plan enough in advance to order online. I only know of three candy stores in Austin and two are too far away to make the drive just for candy. The Sweet Factory at the dying Highland Mall didn’t have any purple candy (her fave color) so I grabbed some red and white candy from there. Unfortunately, Airhead Xtreme Sour Belts only come in rainbow colors—a lot more colorful than I originally imagined. 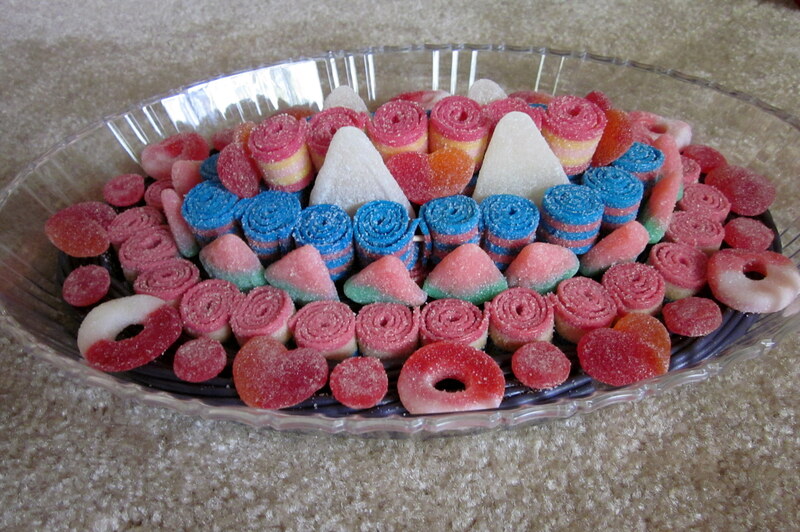 This was pretty simple, it just took some time to roll all the sour belts. I also used toothpicks to pierce three sour belts together at a time since I wasn’t sure how it would keep going from Texas to Massachusetts. The toothpicks are definitely unnecessary if you’re hand delivering a candy cake. Below are the different layers. 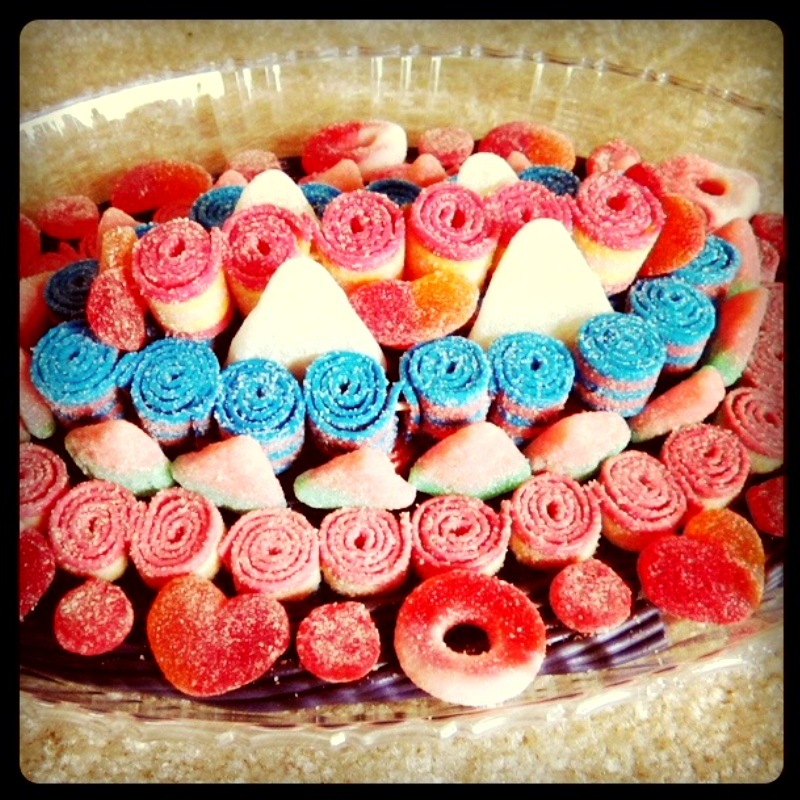 I used one package of grape Twizzler twists, four packages of Xtreme rainbow berry sour belts, two packages of Xtreme blue raspberry sour belts, one package of Xtreme lemonade rush sour belts, and a mix of watermelon, cherry, grapefruit, and strawberry candy for decorations around the sour belts. It turned out to be a fun cake alternative. But no more sour candy for me for a while. 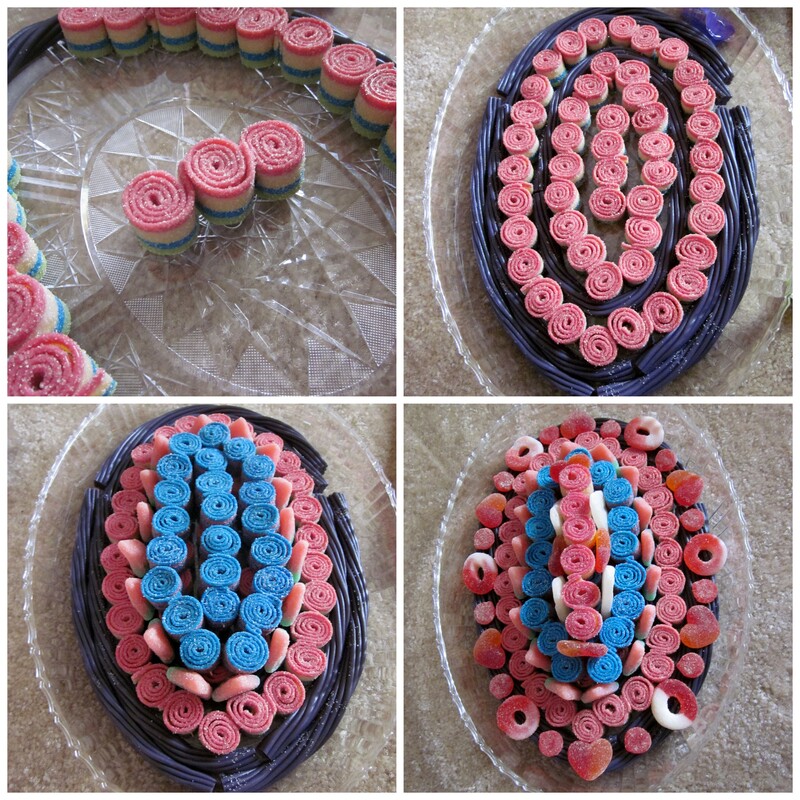 This entry was posted in Birthdays, Gifts and tagged Candy cake; 30th birthday gifts. Bookmark the permalink. Holy crap! I need to go pick up my packages from the front office!!!!! I had no idea this was waiting for me there! Sooo excited. And heck yes I still eat sour candy! Oops, I didn’t realize that you don’t get your packages directly. Hopefully the candy isn’t too hard by the time you ppen it.